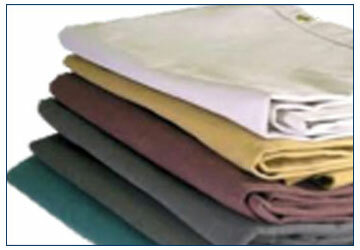 These fabrics are then dyed and treated with wax and chemical that act as a waterproofing agent. This make them heavier and thicker to make them best in class 100% Waterproof Tarpaulins. Care is also taken to ensure that quality threads are used for stiching and super strong eyelets used to take the stetch and pressure. A sample piece from every batch is subjected to stringment tests in the laboratory to ensure that the chemical adhesives used in the coating process are up to the mark to make the tarpaulins 100% waterproof. We Manufacture Cotton Tarpaulins from 6' x 6' to 100' x 100' with varieties of combinations in fabric, process, colours, sizes etc..